If you’re a fan of Special Reports, then you know that Legal Talk Network travels the country pretty regularly to cover the biggest conferences in legal. 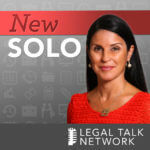 We’re excited to share that starting today, Special Reports will now be called On the Road with Legal Talk Network. 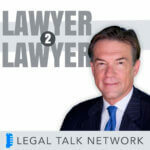 There will be a slight change in format and new artwork, but Legal Talk Network will keep bringing you the same great interviews with influential guests. We’ll be debuting the new format with coverage of this weekend’s ABA Annual Meeting in San Francisco.